Hugo Awards nominees? Shortlists? If only there were somewhere you could read a whole bunch of the nominees all in one place, right now. Hmmm. 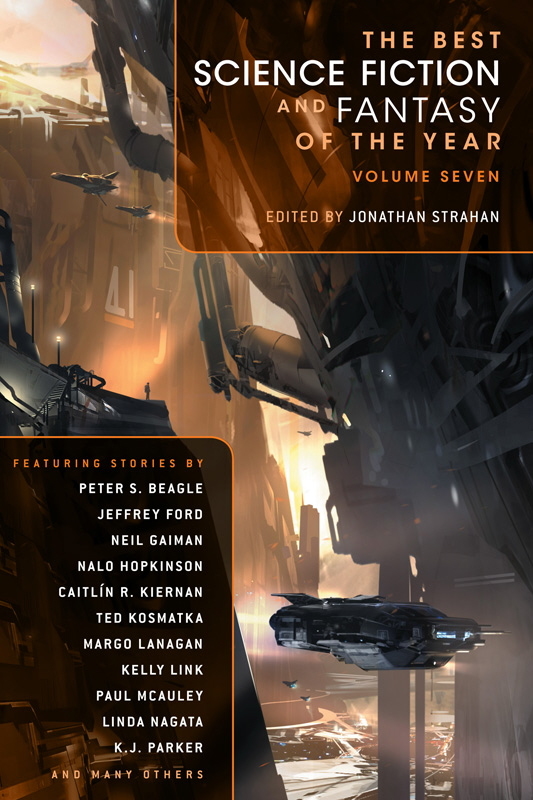 While I don’t mean to imply that a pure nominee count is the best measure of success for a Year’s Best anthology, you still have to give it up for Strahan. The man has excellent taste, and no mistake. 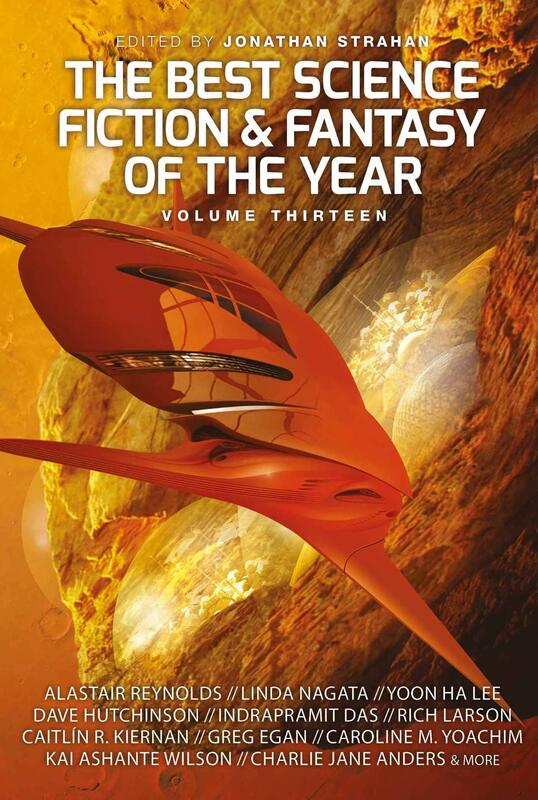 While it’s great to have a single volume packed with so much Hugo nominee goodness, the arrival of Volume Thirteen is still bittersweet. It is the final book in the series, which has been one of the most rewarding of the Year’s Best in the modern era. This is a book that I have looked forward to each and every year, and it will be much missed. But when God closes a door, He opens a window, as they say (and what the heck does that even mean?) In any event, without missing a beat Jonathan announced a brand new Year’s Best series with Saga Press, the inaugural volume of which ships next year. In the meantime, we have Volume Thirteen of this series to look forward to, with stories by John Crowley, Jeffrey Ford, N K Jemisin, Naomi Kritzer, Ken Liu, Rich Larson, Garth Nix, Kelly Robson, Tade Thompson, Alyssa Wong, Elizabeth Bear, Daryl Gregory, Maria Dahvana Headley, Andy Duncan, and many others. Here’s the complete table of contents. The Best Science Fiction and Fantasy of the Year, Volume Thirteen will be published by Solaris Books on April 16, 2017. It is 672 pages, priced at $19.99 in trade paperback. The cover is by Jim Burns. See complete details here. See all our coverage of the best upcoming fantasy and science fiction here. Of course, the total number of stories on at least one of the final ballots is “only” ten, because of all the duplications and even triplications.